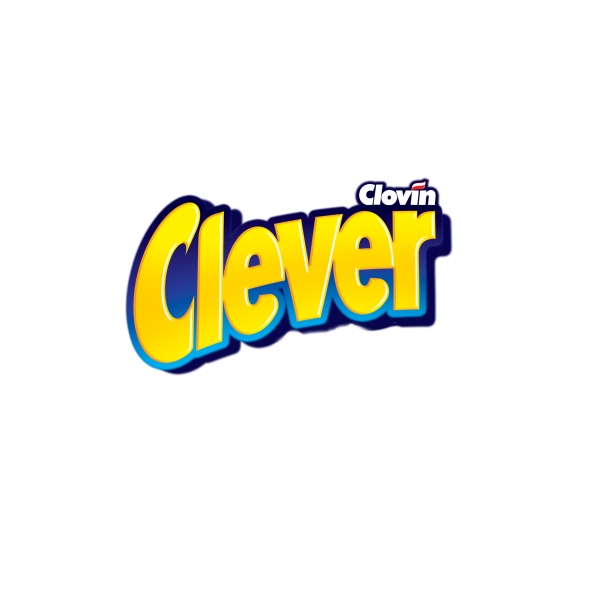 Clever brand contains products which are at the top quality. In this group there are powders, liquids and gels for washing, fabric softeners and bleachers and stain removers. 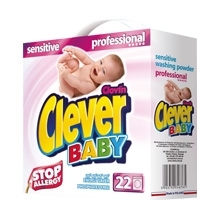 Exceptional and unique products in Europe and the world are Clever Baby infants friendly powders and an effective and truly ecological Clever Free. Within the brand, there are also products designed for and acclaimed by the markets of Western Europe, including Germany, France and England. Powder for washing children laundry. It was created in collaboration with the Child Health Centre. The product composition is formulated in such a way that it can be used for washing clothes of newborn babies, from the first days of their lives, without subjecting them to allergies or skin irritation. It can also be used by allergy sufferers. It has a certificate of National Institute of Hygiene, the positive dermatological results and of washing effectiveness. Hypoallergenic, eco-friendly and efficient washing powder. It can be used by people with sensitive and prone to irritation skin. By eliminating phosphates and zeolites, the powders are friendly to biological life of rivers and lakes. Recommended for farms with sewage treatment plants. Works effectively at 30°C. Herr Clever Color and Weiss washing powders. By using dual enzyme in the composition it removes troublesome stains, including coffee, blood, fat and fruit. Completely dissolvable, do not leave streaks and deposits on textiles. It washes effectively at 20°C. The powder protects the washing machine from scaling and the fabric from moving dyes between textiles. They do not contain environmentally harmful zeolites, phosphates and phosphonates. Effective, oxygen based bleaching agents and powder or liquid stain removers. Remove stubborn stains without weakening the colour of the fabric. 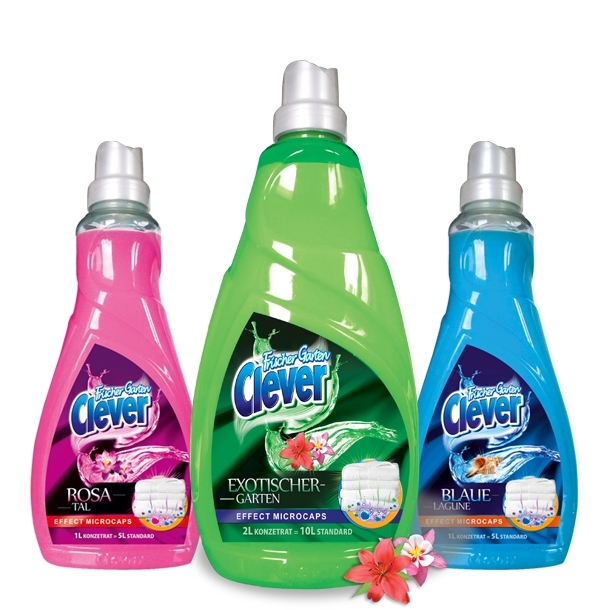 Clever Attack products do not contain chlorine and are safe for colourful fabrics. A pleasant concentrated fabric softener, produced in modern technology using microcapsules, in which the fragrance is closed. This technology allows to release the fragrance on the garment not only during washing, but also after drying, and during ironing. Clothes are soft and have not insistent smell that persists for long.